We held the 2016 North American SCRABBLE Championship at the Grand Wayne Convention Center, bringing players from all over the world to Indiana to play our favorite word game. Why did you decide to host the event in Fort Wayne? 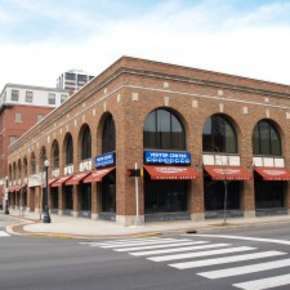 Fort Wayne has a lovely, vibrant downtown area, which is big enough to offer a wide variety of after hours activities for our players, and small enough that our group is warmly welcomed to the community as a valued guest. What surprised you the most about Fort Wayne? All of downtown was made aware of our event by the fine folks at Visit Fort Wayne, and our players were regularly engaged in conversation about the tournament by merchants and restraunt workers in the downtown area. 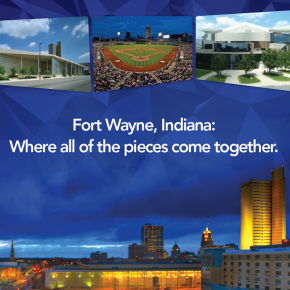 What did your attendees seem to enjoy the most about Fort Wayne? Hoosier hospitality! In addition to the warm welcome all over town, our players loved the Scrabble-themed decorations in the hotels and convention center, and the variety of ancillary activities, such as a minor league baseball game and a comedy show at the Embassy Theater. Most of all, our players raced over the personalized thermal mugs provided by Visit Fort Wayne. Everybody involved with the event was helpful, and we couldn’t have asked for more. One individual who stands out, though, is Josie O’Donnell, who pursued our group fervently and really was the driving force in our ultimate decision to select Fort Wayne as our host city. She made bold promises about what we could expect from Fort Wayne, and then she, everyone else at Visit Fort Wayne, and all of their hotel and convention center partners worked tirelessly to deliver on those promises. What other types of groups would fit well with Fort Wayne? Fort Wayne is ideal for gaming conventions such as chess and Magic, the Gathering. But, in truth, any group that draws nationally and can be accommodated by the size of the Grand Wayne Center and available rooms at the host hotels should consider Fort Wayne, because of the central location nationally and the unparalleled commitment to customer service. 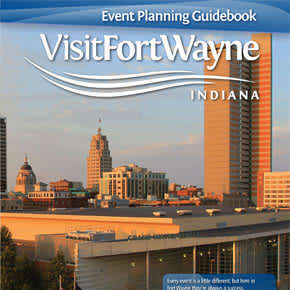 Do you have any advice for other planners who might bring a meeting to Fort Wayne? See the facilities in person and talk to the people who would be your service providers. Fort Wayne offers so much more than appears on an event proposal that it has to be seen to be believed. Absolutely. Fort Wayne received the highest level of accolades from our players, and we look forward to returning to this great city and great venue.